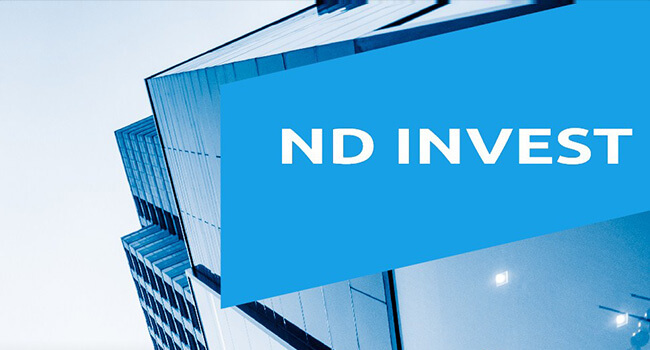 ND INVEST has 9 years of experience in real estate developing and car sales. We have a residential complex in Cyprus and a car dealership in Hungary. We were previously doing everything with fiat, which often led to missing some deals and paying high fees for money transfers. Blockchain technology inspired us, because it offers fast and cheap transactions that are very important for international retail. We are currently on the Pre-ICO stage, gathering funds to build the platform that will simplify interaction between buyers and sellers. Due to our experience with cars and houses, the platform will start with offers of these goods. As it grows, however, the range of products will expand as well. This will be a multifunctional smartphone app. Real estate developers and car dealerships will offer their products with discounted prices on the platform, when they need to sell something urgently. You might ask why they would do it, but we know that they will, since developers and dealerships often have seasonal and annual sales plans to fulfil, while car dealership also sometimes have cars with minor defects. Sellers will offer their goods and potential buyers will be able to surf the platform for suitable products and receive relevant announcements based on the information they provided. What issues does the project solve? Thanks to blockchain technology, people will be able to pay the deposit in NDCOIN tokens instantly to reserve the right of purchasing the product. To make sure that everything is within legal frames, buyers will have to sign the preliminary sale contract that guarantees the conditions of further sale. Moreover, the platform will encourage direct interaction between sellers and buyers which will eliminate the expenses on intermediaries. Interaction will be fast, cheap, direct and beneficial to both parties. For those of you who might be skeptical about ICOs due to a very high rate of scam, we assure you that we will not flee with money. As stated on our website and in the whitepaper, ND INVEST will build the platform and distribute the tokens regardless to ICO results. Moreover, you can find detailed information about our team, office, registration etc. on the official website. Finally, we have a lot to lose, so from a rational point of view it will not be worth the risks for us. If you decide to participate in the ICO, you will find many other opportunities from our company. Firstly, we launched an “ADVANTAGE” program, according to which investors receive additional tokens for free on weekly basis until the end of the ICO. Secondly, we have a great Referral leadership program where you get rewarded for inviting your friends to the project. We also have monthly prizes for the best performers of this program as well as the general ICO promotion with Mercedes E-class and a comfortable flat being the top presents! ND INVEST wants to make life easier, to free the time you spend on searching for accommodation and transport, so that you can enjoy your life more. New Day starts a new life. Let’s start it together!